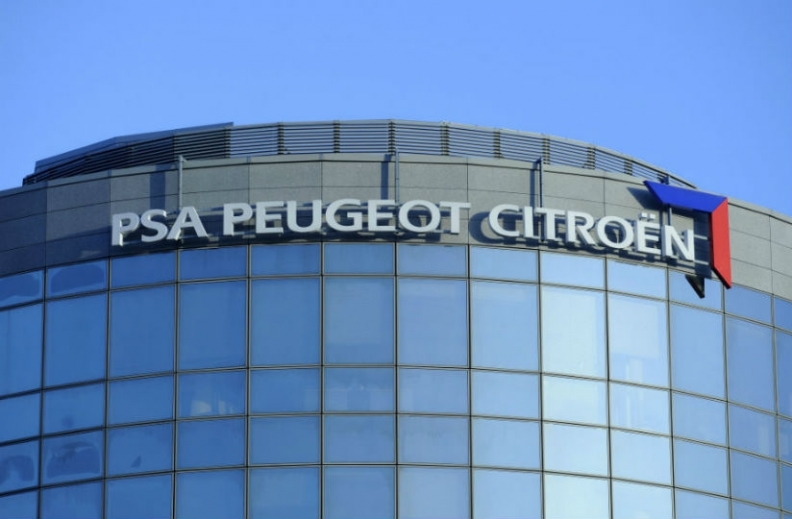 PARIS (Bloomberg) -- PSA/Peugeot-Citroen outlined plans to cut its model lineup by almost half and to turn Citroen's DS unit into a separate brand in a bid to restore the automotive division’s profit. By 2018 the carmaking unit’s operating margin will amount to 2 percent of sales, with the figure rising to 5 percent in the 2019-2023 period, CEO Carlos Tavares said today in his strategic review of the Paris-based automaker. Tavares, 55, became head of PSA at the end of March to guide a reorganization after cumulative net losses exceeded 7.5 billion euros ($10.4 billion) in the past two and a half years. PSA said today that the strategy hinges on reducing the number of models to 26 vehicles from 45, as well as a push into markets outside Europe, funded in part by bringing in Chinese partner Dongfeng Motor Corp. and the French state as investors alongside the Peugeot founding family. "The group will continue to reposition the three brands, while clarifying their lineups," PSA said in a statement. Scaling back the range of models will allow the company to "improve market coverage and improve margins by targeting the most profitable segments." PSA also said it is reorganizing sales operations, and reiterating a target to triple Chinese deliveries in partnership with Dongfeng by 2020. The streamlined model offering will help PSA's struggling operations in Russia and Latin America return to profit within three years, Tavares said. "The problem we have today is that we are making good money in China but everywhere else, we need a turnaround," he said. "Why should I be losing money in Russia or Latin America?" Competitors are earning profits in those markets and “if we do things properly, we should make money” as well, he said. "What we're going to stop is a mindset where in order to cover fixed costs, we're going to sell cars at a loss. The profit culture is something that we need to put ahead of everything else," Tavares said today on a phone call with analysts. PSA pledged to develop new plug-in hybrids, four-wheel-drive powertrains and self-driving cars as it increases spending on research and development to an average of 7 percent to 8 percent of revenue in the next three years. Tavares said PSA plans to move 20 percent of research and development activities out of France. It will save more cash by doubling the supply of parts from lower-wage countries and "rightsizing" French plants, he said, while raising production at more competitive sites in Slovakia, Spain and Portugal. PSA is targeting 2 billion euros in operating free cash flow in 2016 through 2018, the company said. Investors welcomed a return to positive earnings goals but were skeptical at the size of the task. The margin goal, while short of the Volkswagen brand's 2.9 percent and far behind such rivals as Toyota, nonetheless cheered analysts: PSA's 1.04 billion euro auto division loss last year amounted to a negative 2.9 percent margin. "While they see themselves as back in the race, they don't seem to realize that the competition is moving forward just as quickly," said Barclays analyst Kristina Church. "They actually need to start spending ahead of the competition." Erich Hauser, a London-based automotive analyst at International Strategy & Investment Group, said: "It seems to be the minimum requirement, but it’s a start. When you run a big ship like this, you can’t expect to turn it around in a few years." Tavares joined PSA in January from French rival Renault, where he was chief operating officer, to succeed Philippe Varin as CEO. The business plan puts Tavares’s stamp on the carmaker’s revival after Varin, 61, arranged to bring in the outside investors and started developing upscale models for the Peugeot brand. Varin introduced Citroen’s premium DS vehicles in 2009, taking the name from an iconic model produced from 1955 to 1975. PSA was among the carmakers hardest hit as industrywide European auto sales contracted over six years to a two-decade low, with the company’s market share narrowing to 10.9 percent in 2013 from 12.8 percent in 2007. Varin responded by starting a cutback of 11,200 jobs in France, or 17 percent of its work force in the country, shutting a plant near Paris last year and bringing out new models, such as the 2008 small SUV, to revive demand. Varin set a target about four years ago for PSA to generate 50 percent of its deliveries outside Europe by 2015. The proportion of PSA’s non-European sales increased last year to 42 percent, with China accounting for 20 percent of the total, from 38 percent in 2012. Dongfeng and France will each contribute about half the money for a 3 billion-euro capital increase planned by PSA in exchange for 14 percent stakes apiece, according to an agreement reached in February. The family’s ownership will drop to 14 percent from the current 25.5 percent, ending their control of the 118-year-old carmaker.